The perennial pretty-girl go-to, lace has been around for as long as ladies have craved some fancy. However, some of the standard styling ideas around it will make you look about as modern as an antique piano shawl. And we’re here to help you avoid that. Get into boyish cuts, unexpected colors, and fresh accents, and we promise you can keep this timeless trend kicking through 2012. Think Thick — Instead of super-delicate, flimsy lace, try looking for pieces that weave ribbons and thicker threads into lace-like patterns. 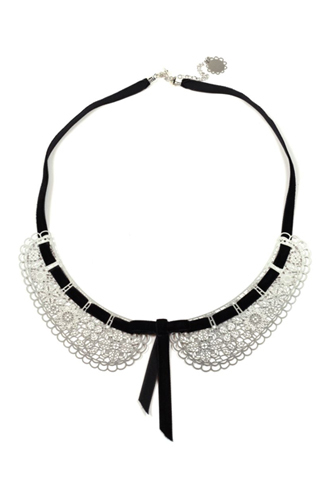 The New Collar — For a lace collar that’ll never wilt, opt for a metal necklace that’s been laser-cut to mimic lace. 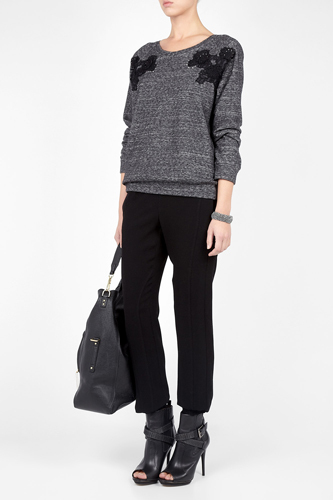 No Sweat — Here’s a way to wear your sweats outdoors without feeling sloppy. Look for an option with a pretty lace appliqué. 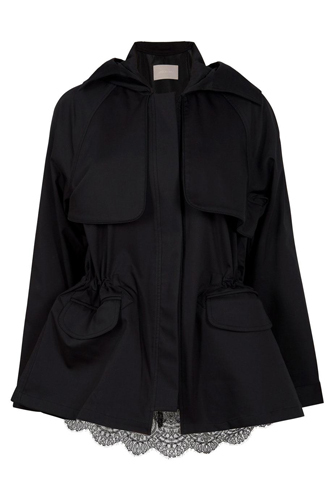 They come in all shapes and forms, including cheeky, sheer panels. Peek-a-Boo — Whether it comes sewn into the garment or you have to wear something else underneath, a slip of lace peeking out of anything is a styling trick that’s subtle but impactful. Bet On Brights — Since lace is already considered feminine, buck the stereotypes by rocking it in an acid-bright hue. 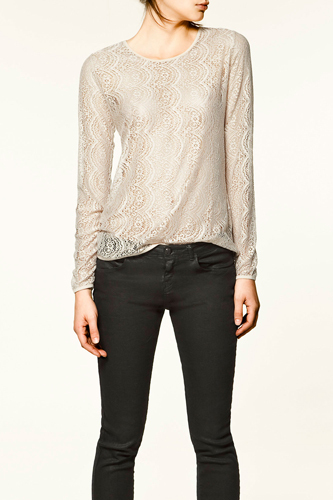 Casual Shapes — Elevate a casual T-shirt by wearing it in a lace pattern. Jeans and a tee never looked so good!